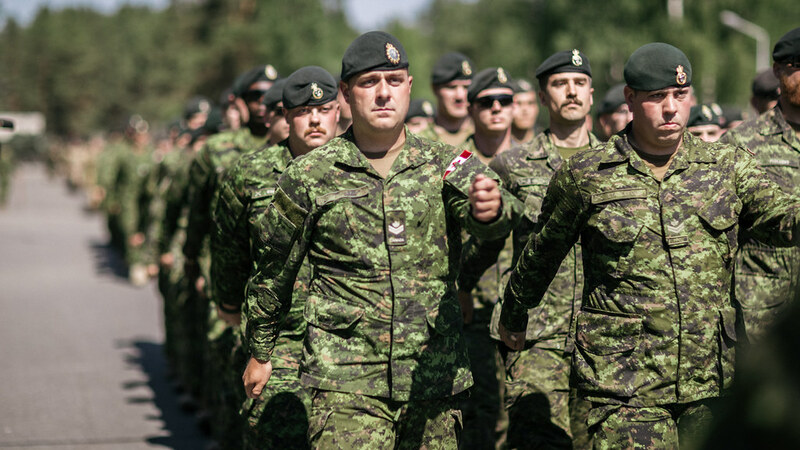 NATO’S PURPOSE IS TO GUARANTEE THE FREEDOM AND SECURITY OF ITS MEMBERS THROUGH POLITICAL AND MILITARY MEANS. 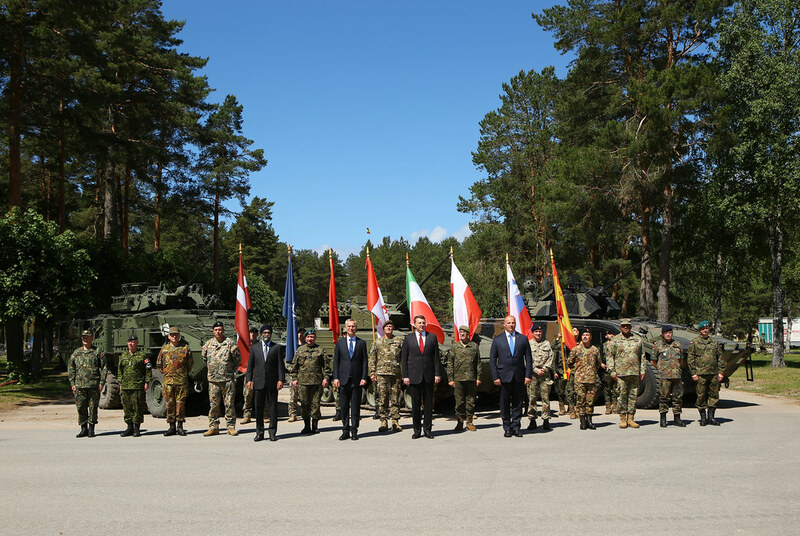 NATO IS POLITICAL AND MILITARY ALLIANCE, which promotes democratic values and enables members to consult and cooperate on defence and security-related issues to solve problems, build trust and, in the long run, prevent conflict. Kolektīvās aizsardzības princips. NATO is committed to the principle that an attack against one or several of its members is considered as an attack against all. This is the principle of collective defence, which is enshrined in Article 5 of the Washington Treaty. TRANSATLANTIC LINK. NATO is an alliance of countries from Europe and North America. 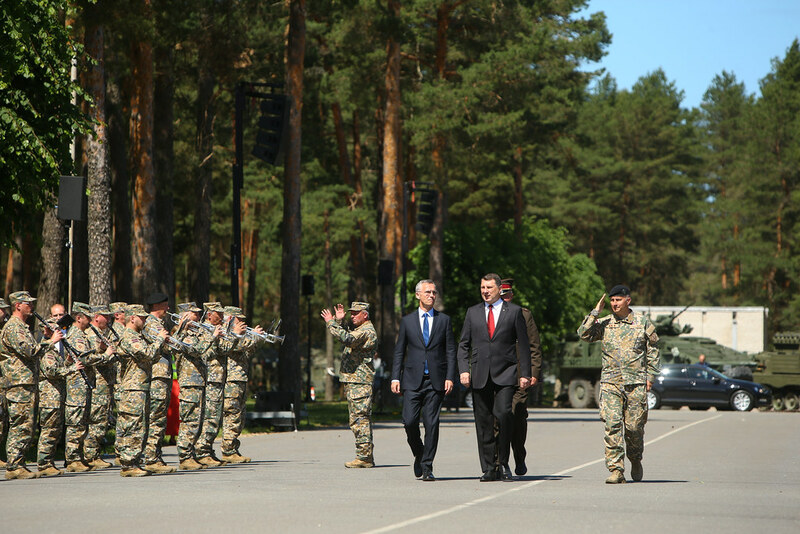 It provides a unique link between these two continents, enabling them to consult and cooperate in the field of defence and security, and conduct multinational crisis-management operations together. 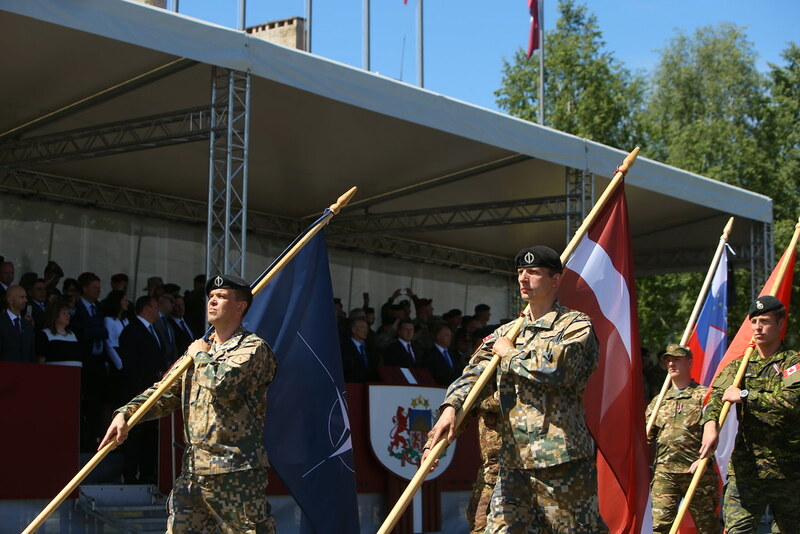 On June 19, 2017 at the Camp Adazi in Latvia the enhanced Forward Presence Battlegroup Welcome Ceremony took place.